Hollybeary Creations : Friday Mashup #142 Happy Birthday To You! Friday Mashup #142 Happy Birthday To You! Geezz... where did the week go? I can't believe it's Friday already! 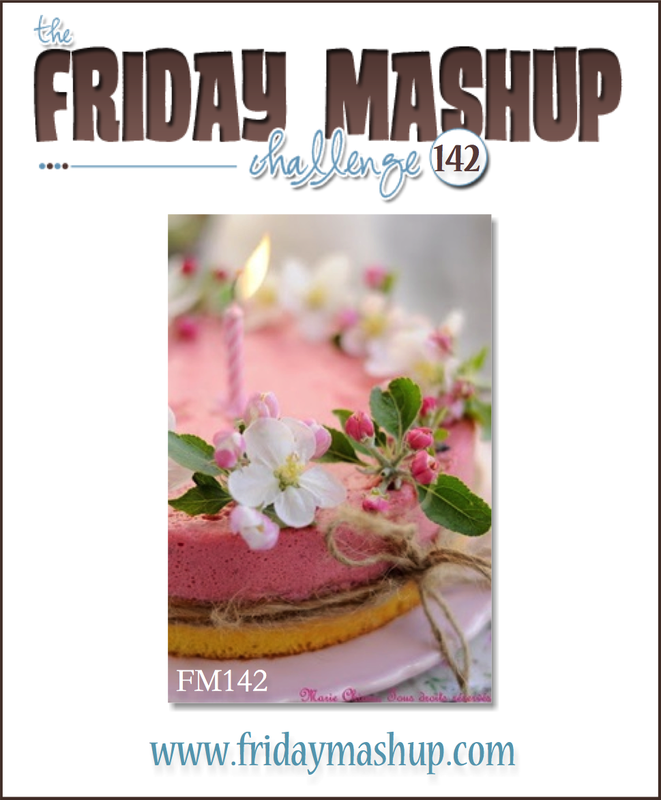 It's time for a new challenge at The Friday Mashup and I'm your hostess this week! January is my Birthday month so I decided we'd have a Birthday themed challenge and Mash it up with some Twine!! So you can create a Birthday project or a project with some Twine or Mash'em up! I have several Birthday's in my family this time of year so I made a Masculine Birthday card that I sent to my Father. I found a similar card here on Pinterest and adapted it using all Stampin' Up! Products. 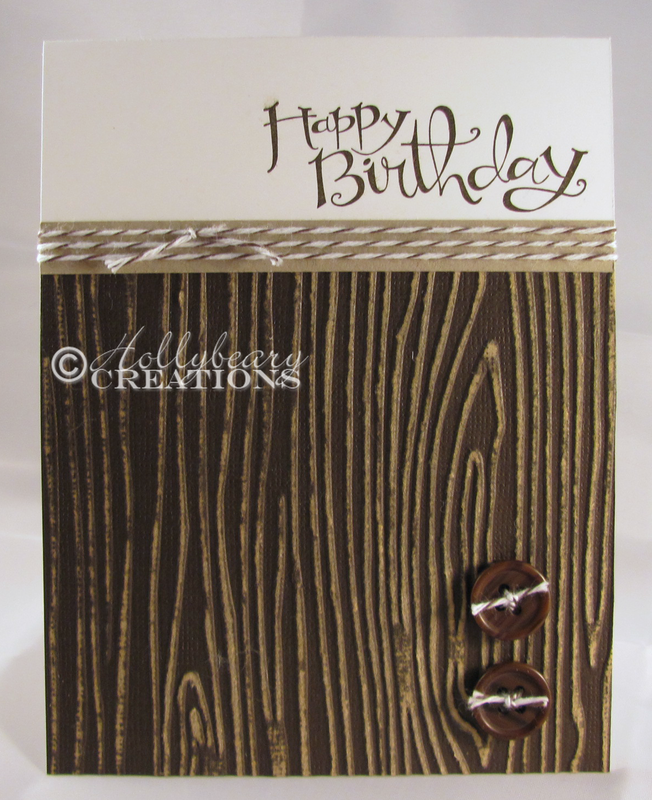 I started with a Whisper White card base and then I added an layer of the Early Espresso Core'dnations card stock that I embossed with the woodgrain folder. I sanded it a little and then I added it to the Whisper White front. I added a strip of Crumb Cake card stock along the top and then stamped the sentiment from Sassy Salutations in Early Espresso on the right side. The I wrapped some Early Espresso Baker's Twine around the Crumb Cake strip and tied it in a knot. I added 2 Buttons from the Naturals Designer Buttons collection and threaded some Baker's Twine through them. This is a bit Monochromatic but perfect for a Guy card. Be sure to head over to the Friday Mashup blog and see what the other Design Team members created this week.. The Challenge is open until Wednesday Jan. 15 @6pm EST. We hope you will join us! 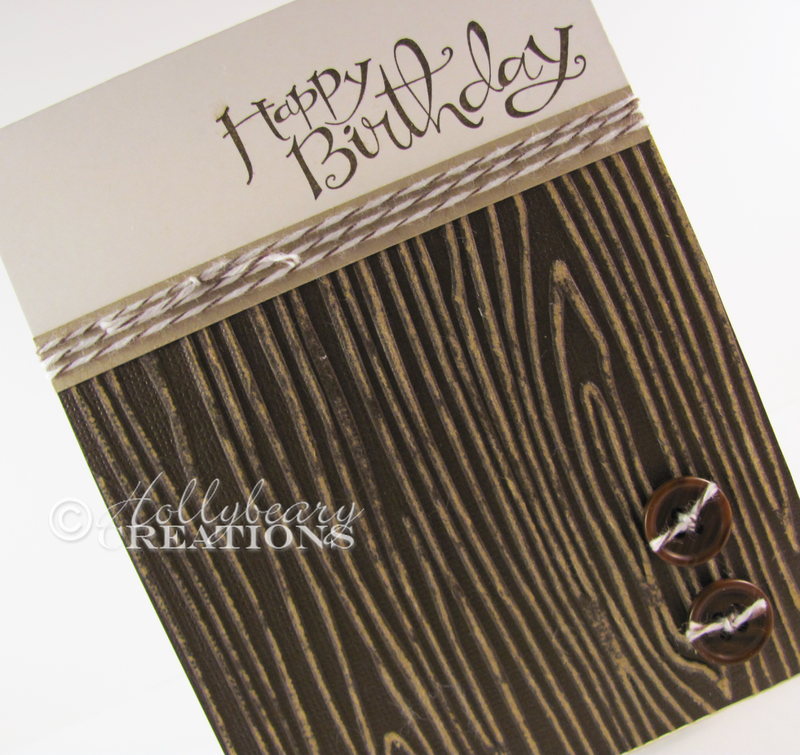 Awesome card - love the distressed wood! The buttons are a great touch! Happy Birthday to YOU this month, yayyyyy! I ♥ manly monochromatic cards! Can never have enough guy cards on hand. Thanks so much for hosting this mashup! Happy Birthday Holly! Wishing you all the best for a great birthday year! I love the texture on this card...it's just a great card in general- CAS but full of detail!